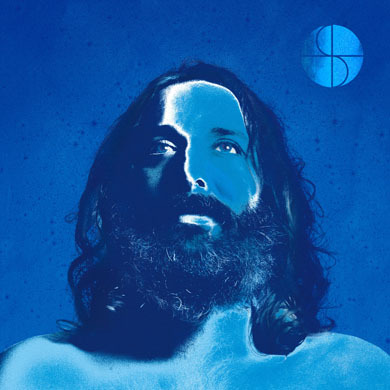 Sebastien Tellier is gearing up to release his new album, My God Is Blue, tentatively in the later part April – via Record Makers, of course. He has released two songs thus far: “Pepito Bleu” and “Cochon Ville.” Below is the other worldly video for “Pepito Bleu” – it is more or less the set up for what to expect from this LP, which is almost certainly a concept album that seems to be a space-disco opera with the typical over the top theatrical style of Monsieur Tellier. I can’t wait! The second song released, the one that really seals the deal for the space-disco theme (I hope), is “Cochon Ville.” The song leaked onto to YouTube earlier this month, but now has been officially posted to Sebastien Tellier’s Soundcloud with an accompanying remix by The Magician. While The Magician makes is a bit more dance-floor friendly, I still prefer the original which is simply divine. Check them out below. Look for additional remixes by Brodinski, Dimitri From Paris, and Hey Champ coming April 9 in France and April 16 worldwide.